As stated earlier: a negative RASK-CASK equation cannot hold for a long period of time. The challenges were compounded by the increase in fuel prices which were up by 54.9% resulting in additional expenses of 811 crores compared to the same quarter the previous year and the rupee weakness which led to additional interest costs of 22.8%. Jet has INR 2000 crores of debt coming due in the next 12 months and this further adds to cost pressures. Cost pressures were also evidenced by reports of requests for delayed lease payments and delayed salary payments both of which are usually priority items. The indications are that Jet is focusing on cash conversation extremely closely and all items are being looked at. Jet finds itself facing the onslaught of low cost carriers that at this time are offering similar schedules and frequencies. The adage “be exceptionally good or be exceptionally cheap” is one that highlights the challenge where increasingly the customer is choosing price over all else thereby forcing all airlines to compete on low fare offerings. Jet in this regard is uniquely placed as it can offer a better product (aircraft, experience & service, benefits) on its international segments – a product that was earlier very competitive. However with down gauging of aircraft and in other cases a delay in cabin refurbishements the product has suffered. For instance on some sectors to the Middle East or South East Asia, Jet flies a 737 while the competition is flying 777s or 747s and clearly a business class product on a widebody is preferred to a narrowbody anyday. This also brings a challenge for Jet as it’s future fleet orders are largely for the 737 MAXs and only 10 787s. 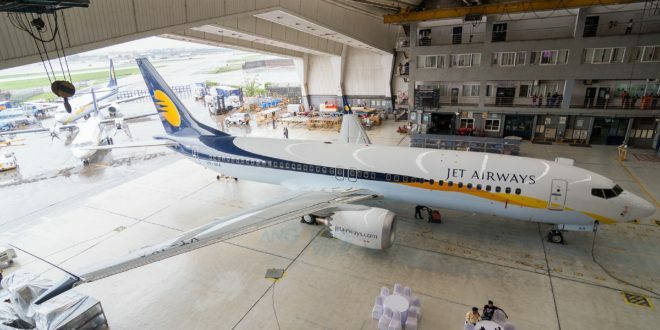 Interestingly, Jet also stated in its conference call that six of its ten 777s are on sale which would indicate a further move towards the narrow-bodies. 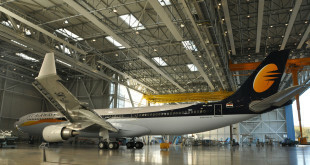 There have been newsreports regarding Tata’s and their interest in Jet Airways. As readers will recall Tata’s own 51% of Vistara and also a majority stake in Air Asia. Vistara is the airline that is being positioned for international growth and acquiring Jet would accelerate Vistara’s international expansion significantly and enable Tata owned airlines to command 24.3% marketshare (as of August). The combined fleet would be approx. 163 aircraft which would then have to be rationalized. Most importantly it would give Vistara access to much needed slots and parking across the country which are increasingly hard to get; give them an immediate traffic base; and reduce the market to only two full-service carriers. That said, any such transaction involves multiple issues with the key ones here being the ownership and control of Jet, assumption of debt and rationalization of the fleet. Interestingly Vistara has seen an equity infusion of 2000 crores which places it in a strong position towards such an acquisition (which would be funded by debt and equity). A second scenario is one in which Jet Airways does not sell to any interested party but attempts to restructure and get its costs in line. 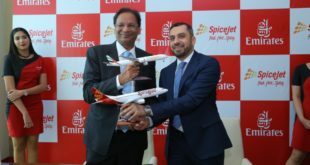 While analysts dismiss this scenario – it is not entirely impossible given that SpiceJet has done so and quite successfully. The challenge would be the funding as there are very few takers willing to lend. Jet would have to present an extremely clear and well articulated plan for emergence which would likely involve difficult decisions on network, fleet and personnel. Certain decisions such as financing the fleet via sale and leaseback and getting rid of the Boeing 777s are towards this. Currently time is of the essence so in either case Jet has begun the restructuring to get its costs back on track. Readers may also note that this analysis only speaks of costs as the challenge Jet faces is with costs and not revenue. 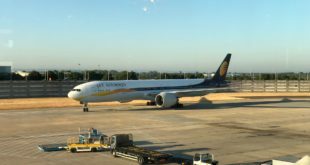 A third scenario would be a split of Jet Airways into 4 or 5 distinct units including an international division, a domestic division, Jet Konnect (regional), Jetlite and the mileage plus. Each division would then be evaluated and Jet would retain some and sell-off others giving a much needed cash infusion while also allowing current ownership to continue to own part of the business. This scenarios takes into account the very different profiles of each business and growth rates. For the year, international and domestic traffic are growing but international revenues are holding up while domestic revenues are falling (due to fare wars). Similarly, with the rise in fuel regional flying is becoming unprofitable and it is increasingly hard to find crew for regional aircraft and thus the decision to review the ATR fleet and options will be based on that. Finally, JetLite continues to be a drain and it is imperative that this be hived off as soon as possible. Overall, Jet finds itself in an interesting position. In the last 25 years it has established a strong presence and has been able to withstand several storms. 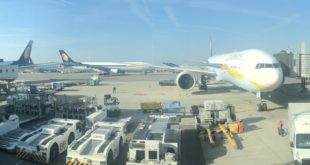 India continues to be the fastest growing aviation market in the world and thus for potential suitors, Jet represents an opportunity to enter this market very quickly and establish presence. The Jet saga is far from over and we will continue to report developments as they happen. The writer(s) are external experts. Bangalore Aviation may not agree with the views expressed by the author. Authors prefer to remain anonymous for a variety of reasons but mostly since they are not authorised by their employers to express their views publicly on the record.